Singapore has been ranked the most innovative country in Asia and the third in the world for the second consecutive year. Ranked just below European countries Switzerland and Sweden, Singapore is the undisputed innovation leader in Asia, according to the fifth Global Innovation Index (GII). The only other Asian country in the top 20, Hong Kong, is ranked eighth this year. The Global Innovation Index (GII), published by international business school INSEAD, ranked 141 countries based on their innovation capabilities and output. Factors considered include human capital and research, market sophistication, institutions, infrastructure, business sophistication, knowledge and technology output, as well as creative output. Reports from INSEAD indicate that Singapore’s stellar performance across the board contributed to its consistent top 3 ranking. In particular, the GII report pointed to Singapore’s world class innovation capabilities, robust research community, high quality labor force, sophisticated financial markets, and the ease of doing business in Singapore as contributing factors. “Singapore is a consistent leader in innovation input, human capital research and business sophistication,” observed Mr. Satish Bakhda, General Manager and Head of Operations at Rikvin, a Singapore company registration specialist. 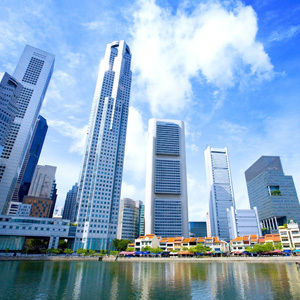 “In addition, Singapore is consistently number one in business sophistication rankings, owing to its high quality of its knowledge workers and innovation linkages. Technology investors are attracted to form a Singapore company because of the general operational efficiencies that Singapore offers,” Mr. Bakhda said. Mr. Bakhda further highlights the positive impact of the GII report, stating that it will boost Singapore’s efforts to attract more foreign investments. “This report proves that Singapore is on the right track in terms of policy and infrastructure improvements to create the most conducive environment for innovation. We are positive that the report will illuminate Singapore’s strengths as a research incubator and attract more companies to set up an R&D base in the country. In turn, this may attract more investors to relocate to Singapore and help high-potential technologies come to fruition,” added Mr. Bakhda. In spite of its overall high performance, however, Singapore lagged behind in innovation output. This category takes into account the number of creative goods and services, Singapore trademark registration, and even online activity as measures of creativity. In terms of innovation efficiency and producing creative results, the city-state placed only 83rd in global rankings. The dismal showing in this area is due in large part to a weakness in creative output, where Singapore ranked 37th, falling seven places from last year. “This area has been a weakness for Singapore,” Mr. Bakhda acknowledged. “To improve our rankings we also need to create an environment that is conducive not only to innovation but to creative production too. Firms and organizations should be facilitated in their pursuit to research areas of interest so that creativity can organically manifest itself. In essence, to really become a global innovation leader, Singapore must clear any roadblocks and bridge the gap between innovation potential and manifestation and we are optimistic that Singapore will be able to move towards that,” he concluded.